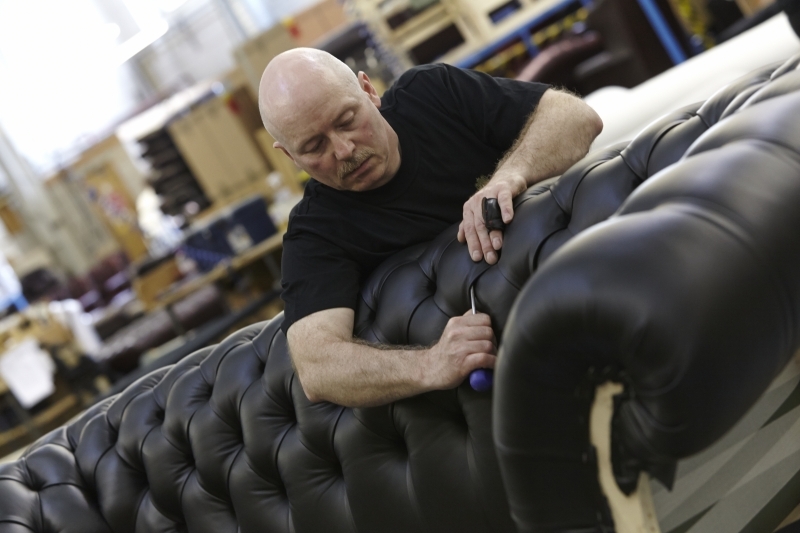 Saxon Furniture is a long-established family business that has been specialising in hand-crafted, quality sofas since 1982. We take a look inside and explore the facts & figures behind the site. Under the brand Sofas by Saxon, the Saxon Furniture factory is split into two: the frame workshop stands at approximately 3,000 sq. ft, while the main workspace is approximately 5,500 sq. ft. The firm’s signature sofa style is the Chesterfield, which they have been making since the beginning. But, along the way, they have diversified with other traditional and contemporary ranges of footstools, sofas beds, and corner sofas. The frame of the Chesterfield sofas are made of solid beech hardwood for maximum durability and support. 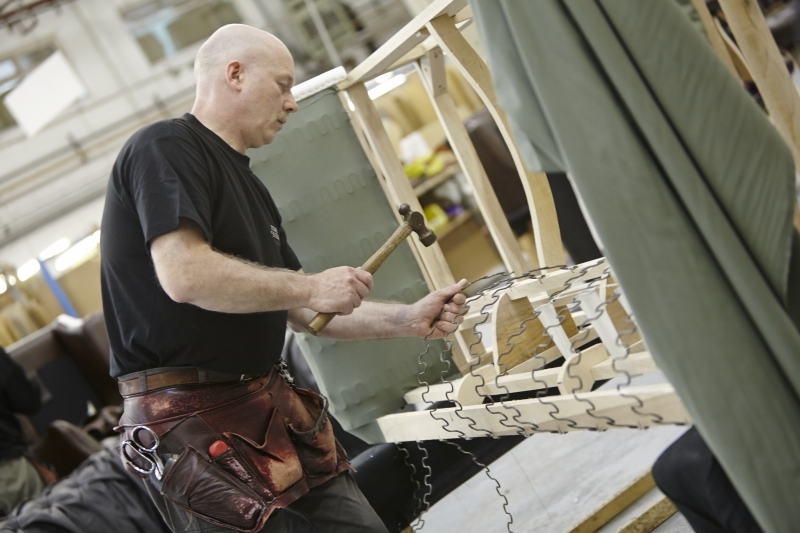 Typically, 12 members of staff will work on each piece of furniture. This includes four frame makers, a polisher, a leather/fabric cutter, seamstresses, an upholsterer, finisher, cushion filler, an antique rubber, and somebody to inspect it at quality control. 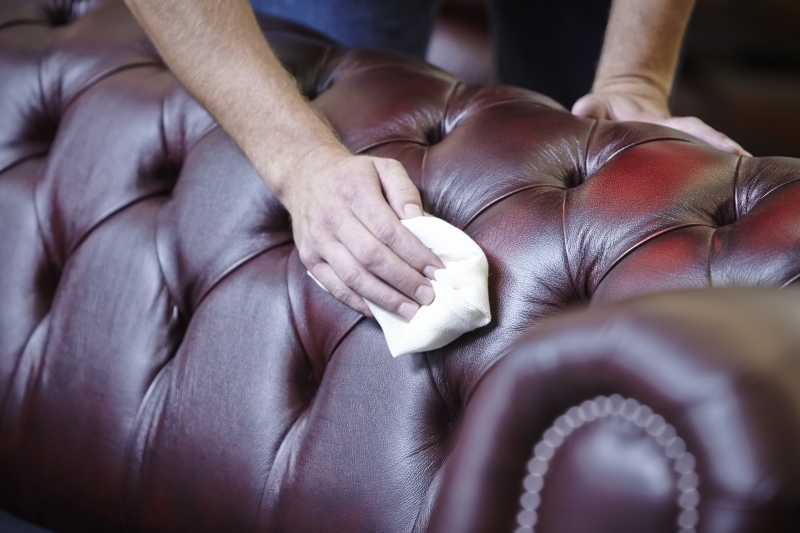 It takes anywhere from a few days to a week to build a Chesterfield sofa, depending on the style. This is because of the intricate design pattern and high-quality finishes. 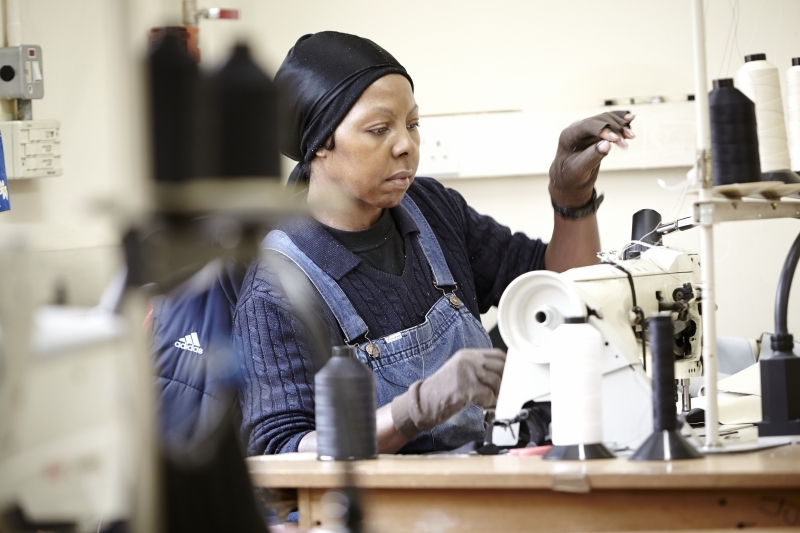 The company prides itself on flying the flag for British craftsmanship, and they try to invest in regional talent to support craftspeople from the local area (even if this isn’t the cheapest or easiest option). As well as their core employees, Saxon employ two apprentices every year, with 75% of all the people who finish the apprenticeships being employed by the company. The company has a multi-generational workforce of 80 employees, many of which have been with the business since the beginning. 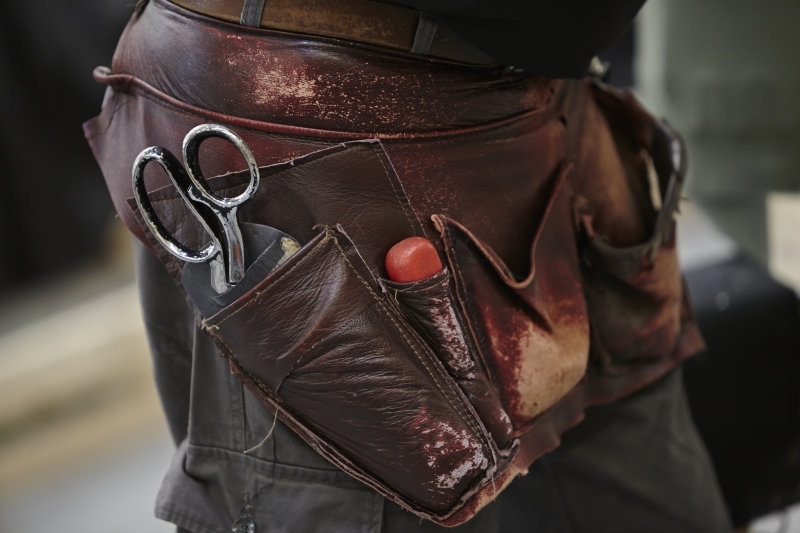 With workers of ages ranging from 16–66, Saxon Furniture strive to find the best talent in both newcomers and those more familiar with the industry. 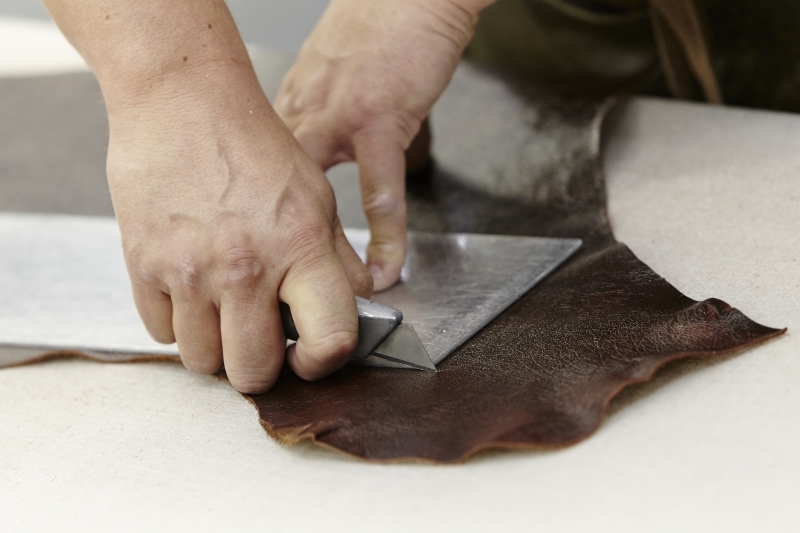 The leather used by Saxon Furniture is sourced from the best Italian tanneries. But, other fabrics used include wool, tweed, and linen that have been woven and finished in Britain, as well as smooth velvet sourced from Italy. 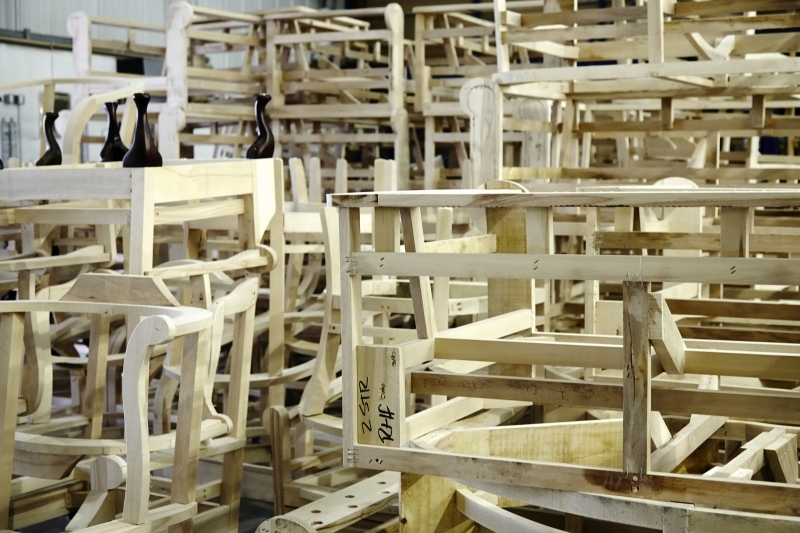 Although a mass production line would allow Saxon to make furniture much more quickly, the company decided that their commitment to quality means they needed to do everything by hand. The company’s designs are shipped to more than 50 countries, with demand from the UK to Asia and the Middle East. They most commonly find themselves shipping to France, Germany, and the USA. 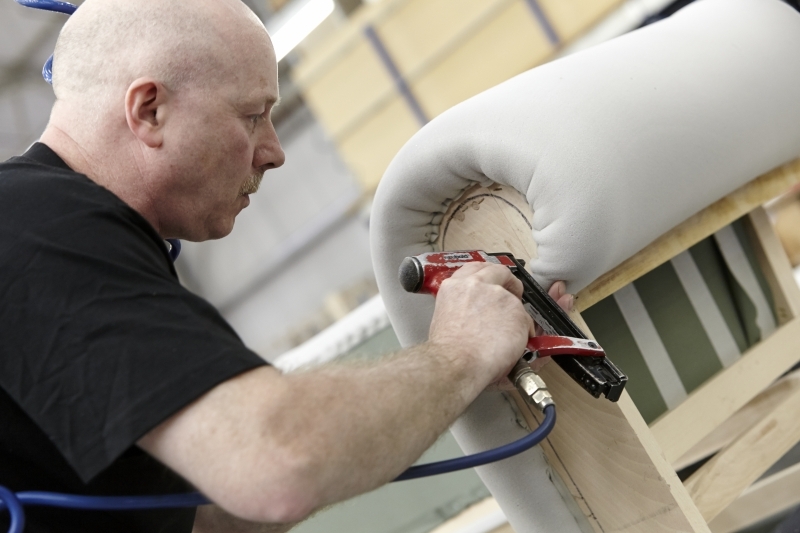 There are around 120 different sofa coverings customers can choose from, but Sofas by Saxon also offer a bespoke service, so people can have their own unique sofas. Most of the Chesterfields made in Saxon’s factory have either foam, feather, or Dacron cushion fillings. Sometimes they even use a combination to get the right balance between comfort and durability. 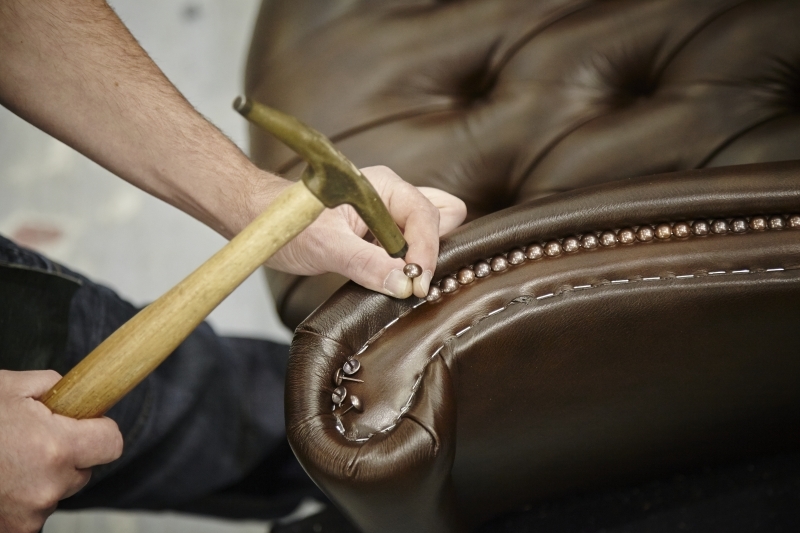 The experienced craftsmen in charge of the Chesterfield sofas give each style a different suspension system within the frame. This is to ensure the sofa offers just the right amount of resistance when somebody takes a seat. They use coiled spring units, serpentine springs, or webbing for this.